Welcome to the fourth installment of the Haunted Montreal Blog! Released on the 13th of every month, the August edition focuses on research we are carrying out into the Villa Maria School. 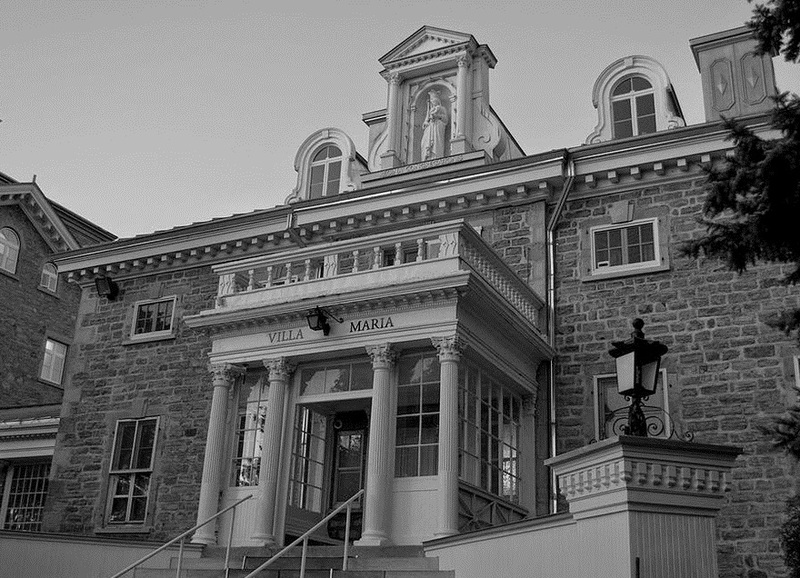 Located on the western base of Mount Royal, the prestigious Villa Maria has been educating girls since 1854. Originally built as a mansion for high-level officials, then converted into the Monklands Hotel for five years before being converted into a school, it is rumoured to be haunted by various ghosts. We are also pleased to announce that our public season is now in full swing and private bookings are also available for both Haunted Downtown Montreal and Haunted Mountain. We also have a Tripadvisor page to enable our clients to provide feedback and reviews of Haunted Montreal’s ghost walks. Villa Maria is a prestigious private school nestled into the western base of Mount Royal. 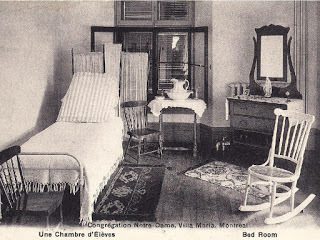 Educating girls since 1854, Villa Maria is one of Montreal’s oldest schools – and also one of its most haunted! Schoolgirls enrolled at Villa Maria have been whispering about the hauntings for decades, often to the disapproval of religious officials who were once involved in the school’s administration. Despite the school offering a more secular education nowadays, the hallowed halls are still said to be haunted by various ghosts. 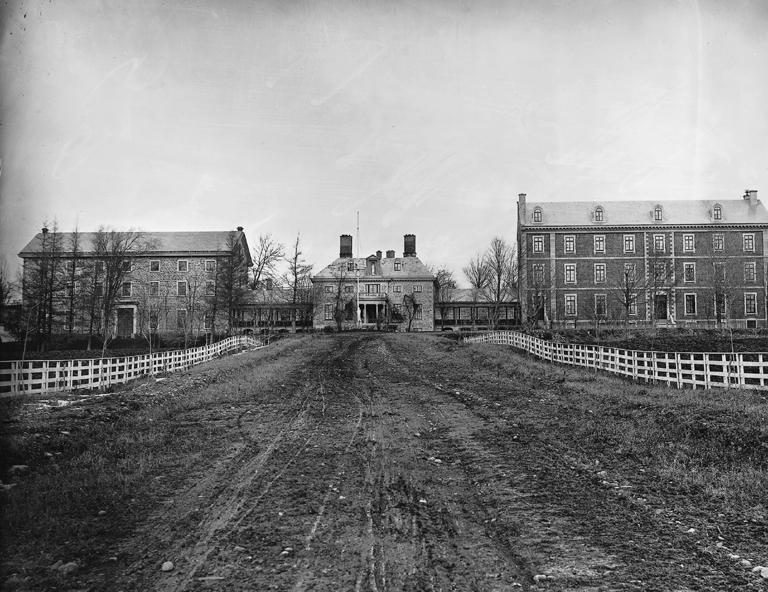 Certain locations are said to be extremely haunted, including the main lobby, where as mysterious rope sometimes swings on its own accord, and the fourth floor, where students often experience flickering lights and gusts of cold wind, not to mention phantom footsteps and disembodied weeping sounds. Delving into the site’s history of the site can provide clues as to what may be causing the hauntings. 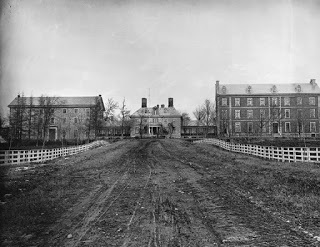 The story begins in 1795, when Lord James Monk, Chief Justice of Lower Canada, purchased the estate where Villa Maria now resides from the Décarie family. He ordered a Palladian-style villa to be built on the land in 1804, which he affectionately called ‘Monklands’. Following the death of Sir James Monk, his niece, Elizabeth Ann Monk, inherited the property. She leased it to Crown as a residence for the Governors General of Canada, so the building was modified to make it appear more imposing and luxurious. Three Governors General resided at Monklands, including Sir Charles Metcalfe, Lord Cathcart and finally, Lord Elgin. A decision was made to convert the property into a hotel in 1849, following a dangerous episode on April 25, 1849 that upset Lord Elgin and his pregnant wife. Lord Elgin had passed the Rebellion Losses Bill in the Canadian Parliament, spurring an angry mob of Conservative party radicals to action. They threatened to burn down Lord Elgin’s home with his pregnant wife inside it. 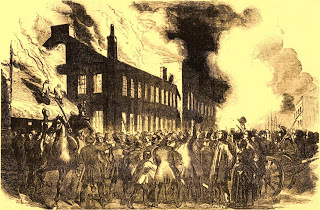 However, within the mob cooler heads prevailed and, after much debate, the rioters chose to burn down the Parliament instead, which was located in what is now Old Montreal. The dangers faced by Crown politicians in Montreal were real and ever-present, prompting Queen Victoria to relocate the Parliament to Ottawa several years later. Canadian Governor-Generals have been living there ever since. The residence was converted into the Monklands Hotel, which could perhaps best be described as a country inn. Set on the bucolic slopes of Mount Royal, it catered to those travelling between Montreal and villages to the north, however it operated for only five years before closing. One rumour suggests the hotel had developed a salacious reputation as a place where romantic affairs could unfold in complete discretion and secrecy, which alarmed the Monk family as well as religious authorities in the city. 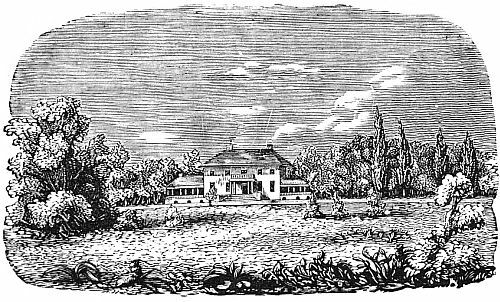 In 1854, the Congrégation de Notre-Dame brought an end to the Monklands Hotel. The Catholic organization purchased the estate to open a boarding school for girls. They renamed it “Villa Maria” and the school began to imbue a very Christian education that was taught exclusively by nuns and clergy in the beginning. Courses ranged from academic to spiritual, and included everything from English, French, The Art of Conversation and Arithmetic to Meditation, Examination of the Conscience and Bible Study, which was seen to encourage spiritual discipline. The curriculum also included the arts: drawing, sewing, painting on porcelain, as well as harp and piano lessons. Students also had access to a telescope to study celestial bodies and astronomy. However, despite this rich and religious curriculum, students also received a lesson in the paranormal if they listened to the persistent rumours or experienced anything uncanny. Lynda da Silveira, a former Villa Maria student, now works at the school. She has taken a keen interest in the ghosts that haunt the place, and was recently interviewed by the Montreal Gazette about the alleged paranormal activities that unfold at Villa Maria. 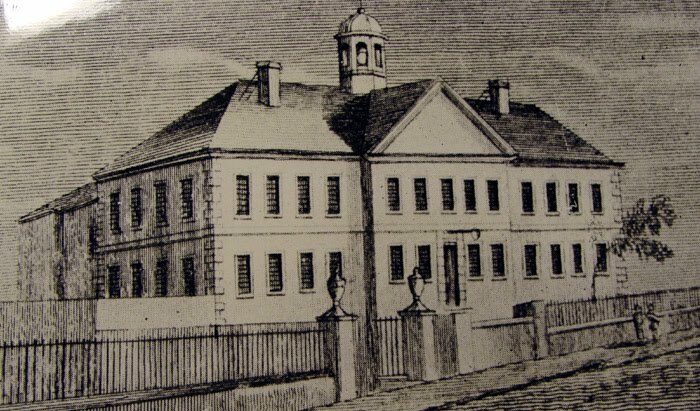 She described one prominent story about a rope in the original building that dangles from the second floor above the main hall, with a school bell attached on the end. According to da Silveria, students refer to it as “the hanging rope” and whisper that at 11 p.m. sharp, it sometimes begins swaying on its own accord. According to legend, a man was having a passionate affair with a married woman and he brought her to the Monklands Hotel for a romantic tryst. The woman, fearing she would be caught, hastily abandoned the man at the hotel one night. Devastated, his mind darkened and he became forlorn. Da Silveira also has a theory about the paranormal activities that happen on the fourth floor, which include flickering lights, gusts of cold wind, phantom footsteps and disembodied weeping sounds and sometimes even laughter. “Lots of teachers and staff throughout the years will tell you that weird stuff happens on that floor all the time,” Da Silveira said. “So you’ll be sitting there, and suddenly a gust of cold wind will come from nowhere. The lights will turn off. It sounds like someone is walking across the room, even though you’re the only one left.” According to the Montreal Gazette, some of the teachers have even reported hearing disembodied laughter. Apparently these strange activities might be related to a student named Lillian Stubbs, who boarded there during the late 1870s. According to the tale, Lillian longed to return home to Texas for the summer holidays, but unfortunately she contracted cholera, a deadly and contagious disease. Due to the risk of infecting others, Lillian was quarantined in the school for the summer and kept under the care and supervision of the nuns. Despite being cared for by the nuns and Mother Superior, Lillian was unable to ward off the cholera and died in a Spartan bedroom in the school in 1880, far away from her family and home. She was buried in the school’s crypt on July 25, 1880, below a tombstone carved with an angel. In death, Lillian joined other notable members of the school who had died there, including several student victims of smallpox and even one Mother Superior, who died two days before Christmas in 1875 during an epidemic. Death continued to stalk the school, and in 1928, two more young girls perished. One student was only 6 years old when she developed pneumonia following a bout of measles, whereas the other girl died of scarlet fever. Perhaps the mysterious Yuletide weeping is related to the tragic death of the Mother Superior. It is unknown whether the other paranormal events are related to Lillian Stubbs or other girls who succumbed to disease, or some other undiscovered spirit that haunts the upper floors of the school. Whatever the case, Villa Maria was declared an historic monument in 1951 because of its historic importance and notable residents over the years. More recently, after 161 years of educating girls exclusively, in 2015 school officials decided to switch to a co-ed model. The plan was met with anger by some parents, but officials explained that due to a declining birth rate and language laws surrounding accessibility to education in English in Quebec, the move was necessary. As such, a new generation of schoolboys is set to join the girls in the autumn of 2016 to study in the hallowed halls of Villa Maria School. One thing is certain, in addition to studying the polished curriculum provided by the school, the new students are also going to learn the old rumours and legends about the ghosts that haunt Villa Maria. Perhaps with the mixing of genders, whole new ghost stories will emerge as the boys explore the nooks and crannies of the historic estate and work their feverish imaginations. Only time will tell! Haunted Montreal is very proud to have done a fundraiser on Sunday, August 9 to support the Ange-Aimée Woods Bursary with two special performances of Haunted Downtown Montreal (2 pm and 8 pm). We raised $501.50 towards the goal of $15,000.00 to ensure the bursary will exist in perpetuity. We are pleased to announce that we have reached our objective! Haunted Montreal’s public season is in full swing offers and ghost walks are available to private groups! Private tours can be arranged for groups of 10 or more people and are subject to availability. For more information, please contact us at info@hauntedmontreal.com. Sunday, October 11 @ 8 pm……Haunted Downtown Montreal *** New date! ***To book a Ghost Walk in the public season, please see 2015 Tours for details. We may add more even tour dates in case of high demand! Haunted Montreal is trying to spread the word as much as possible about our Ghost Walks and haunted research. If you attended a Ghost Walk, Haunted Montreal invites you to write a review on our Tripadvisor page! We really appreciate all positive feedback and reviews! If you have witnessed anything paranormal in Montreal or if you have a local ghost story to tell, please get in touch by emailing info@hauntedmontreal.com. Thank you for reading the Haunted Montreal Blog! Don’t forget to sign up to our mailing list if you want to receive the blog on the 13th of every month! Coming up on September 13th: Hauntings in the Old Montreal Gaol Cells. From 1811 to 1836, Montreal’s infamous gaol sat on the north side of the Champ-de-Mars, approximately where the Place Vauquelin exists today and to the west beneath the old courthouse. Montreal Gaol was notorious and housed inmates in primitive conditions. With no heating in winter, a lack of bedding or blankets, a diet of only bread and water and inmates awaiting trial or execution chained to the walls, the Gaol was a place of immense suffering and tragedy. In 1835, after a vagrant named John Collins froze to death in the gaol, a Grand Jury condemned it and it was demolished in 1846. 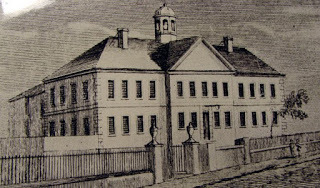 A courthouse was built upon the foundations of the old goal cells in 1850 and a public square opened in 1858 on the eastern portion. The old gaol cells still exist beneath Place Vauquelin and the old courthouse, but they are said to be haunted by the ghosts of criminals long-since executed and other spirits. With a recent announcement from City Hall about a planned archaeological dig in the area, expectations are high that the workers may unearth more than they bargained for!